Hi my name is Stuart Morris, I’m one of the owners of Skydive North West and of course – a skydiver! I started skydiving as a youngster and have since made more than 3,500 skydives. My father Alan Morris used to be one of the owners of Skydive North West and it was him that introduced me to skydiving as a young man. I feel I have developed a great sense of how to remain safe in the sport after having grown up and working within it. 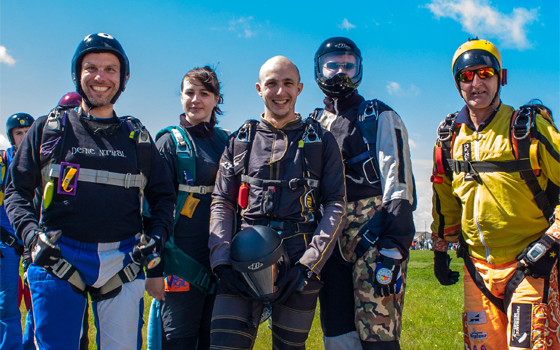 I’m also and advisor to the the British Parachuting Association on risk and safety issues, that means I’m involved with making the sport safer not just for us here at Skydive North West, but for skydivers nationwide. 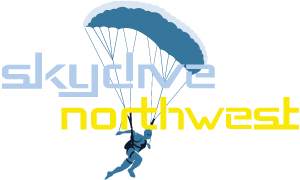 Skydive North West has a great safety record and you’ll have a great time and a fantastic adventure if you skydive with us. Whilst we do occasionally see sprained ankles and bruised egos – our great equipment and excellent skydiving instruction really pays off. Safety within skydiving starts at the top and here at Skydive North West we pride ourselves on our training and the maintenance of our equipment – including our fantastic aircraft the PAC 750 XL – the only purpose built skydiving aircraft in the UK. The fact is skydiving and parachuting is NOT any where near as dangerous as most people believe it to be, but that’s not to say it’s a particularly ‘safe sport’ either. There are real risks involved in any sport that involves high speed – but the key is managing those risks with great equipment and training. That’s what we do at Skydive North West and that’s what we teach you to do if you learn to skydive with us. There are plenty of other sports that are as risky or riskier than skydiving- some of those sports people think of as fairly normal. For example I know loads of people who’ve seriously injured themselves working and training with horses. The risk of fatality from skydiving is thought to be somewhere in the region of 1 in 100,000 skydives. That means, for every 100,000 skydives made – approximately 1 person dies engaged in the sport. I don’t know about you but I think they’re pretty good odds. Our skydiving equipment is fantastic! Modern parachuting equipment is in fact extremely reliable, robust and huge progress has been made over the last 20 years to help ensure that skydiving is a safe as possible. Many non-skydivers believe skydiving to be some incredible death-defying stunt, when actually it’s a well established sport with more than 100,000 regular participants worldwide. There are many skydivers with literally 1000s of skydives who have never injured themselves in any way. A fact that surprises many non-skydivers is that most serious skydiving injuries or fatalities are actually caused by skydivers flying fully functioning parachutes and either haven’t kept their wits about them and collided with something or because they’ve made radical ‘cool’ manoeuvres too close the ground. Few skydiving accidents are only actually ever attributed to a properly maintained, packed & deployed parachutes failing to open. The media does have a tendency to report any skydiving accident by saying the “parachute failed to open”. This is only rarely true, but it’s reported that way anyway and consequently it perpetuates a widely-held myth in the media and for the general public. The fact is when skydivers injure themselves it’s nearly always under a fully functioning parachute or are in some way due to human error and not equipment failure. All parachuting systems have a number of safety devices. Firstly, there’s a reserve parachute. In the unlikely event there is a problem with the main parachute, it can be easily cut away and a reserve parachute deployed – this is a specially designed ‘backup’ parachute that has been carefully packed by a qualified parachute rigger. In addition to that, all parachuting systems in the UK are equipped with an Automatic Activation Device. This is a special piece of equipment that automatically deploys your parachute if for some reason you do not. The fact is; the enjoyment that comes from skydiving for most people far outweighs the risks so come and give skydiving a try!